UPDATED 10/9/2018, 3:15 a.m. – Chad Michael Ramsey was apprehended safely and without incident at 2:50 a.m. in the Capitol State Forest area. Ramsey is being transferred to the Washington Corrections Center in Shelton, Wash., for questioning and pending investigation. The Department of Corrections' Community Response Unit and Inmate Recovery Team worked in close partnership with other agencies, including Washington State Patrol and Thurston County Sheriff's Office, and greatly values and thanks its public safety partners. LITTLEROCK – Washington Department of Corrections and local law enforcement are searching for an inmate, Chad Michael Ramsey, 45, who escaped from a facility work crew working outside of the facility’s secure perimeter, at approximately 2:53 p.m. on Monday, October 8, 2018. Chad Michael Ramsey was not part of a Department of Natural Resources (DNR) work crew. Correctional employees initiated an inmate recount and escape procedures. The facility notified local and state law enforcement, and activated inmate recovery teams. Chad Michael Ramsey (399251) was convicted of burglary 2, harassment, and unlawful imprisonment out of Grays Harbor County and began serving his 29 month sentence on May 1, 2017. 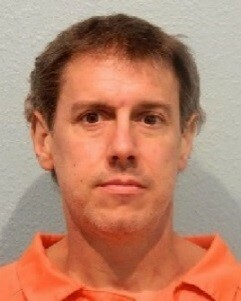 His expected release date had been tentatively set for October 16, 2019. If you see Chad Michael Ramsey do not approach him and contact the Cedar Creek Corrections Center at 360.359.4121 or Call 911. Cedar Creek Corrections Center is located on the southeast edge of the Capitol State Forest, near Littlerock, Wash., opened in 1954, and houses approximately 480 minimum custody male inmates.